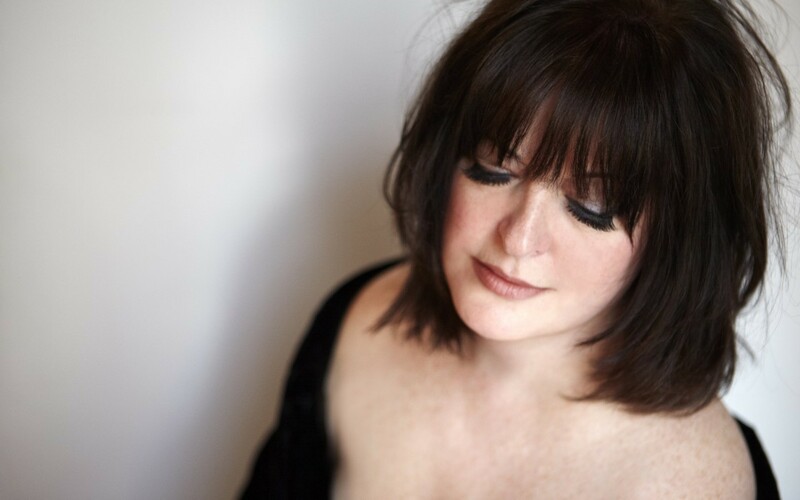 Ann Hampton Callaway is one of the leading champions of the great American Songbook, having made her mark as a singer, pianist, composer, lyricist, arranger, actress, educator, TV host and producer. Voted recently by Broadwayworld.com as “Performer of the Year,” Ann is a born entertainer. Her unique singing style that blends jazz and traditional pop, making her a mainstay in concert halls, theaters and jazz clubs as well as in the recording studio, on television and in film. She is best known for Tony-nominated performance in the hit Broadway musical Swing! and for writing and singing the theme song to the hit TV series The Nanny. Callaway is a Platinum Award-winning writer whose songs are featured on seven of Barbra Streisand’s recent CD’s. The only composer to have collaborated with Cole Porter, she has also written songs with Carole King, Rolf Lovland and Barbara Carroll, to name a few. Callaway’s live performances showcase her warmth, spontaneous wit and passionate delivery of standards, jazz classics and originals. She is one of America’s most gifted improvisers, taking words and phrases from her audiences and creating songs on the spot, whether alone at a piano or with a symphony orchestra. Ann has been a special guest performer with Wynton Marsalis and the Lincoln Center Jazz Orchestra, with Keith Lockhart and the Boston Pops at Symphony Hall and Tanglewood and is featured at many of the Carnegie Hall tributes. She has sung with more than 30 of the world’s top orchestras and big bands, and has performed for President Clinton in Washington, D.C. and at President Gorbachev’s Youth Peace Summit in Moscow. Callaway performed with her sister, Broadway star Liz Callaway, in their award-winning show Sibling Revelry at London’s Donmar Warehouse. Their act “Boom!,” a critically acclaimed celebration of the baby boomer hits of the 60’s and 70’s, was recorded on PS Classics which debuted in the top 25 on Billboard Jazz. Ann was featured in the Macy’s Day Thanksgiving Parade telecast watched by 6 million people singing Emmy Award-winning song “Yes, Virginia.” She took the symphony world by storm with her latest show “The Streisand Songbook” which she premiered with The Boston Pops and continues to tour with top orchestras across the country. Said Randall Fleischer after conducting the show with the San Francisco Symphony, “Ann’s tribute to Streisand is a glorious evening of great songs, brilliantly orchestrated and sung magnificently.” After performing the show at 54 Below, she garnered two Broadwayworld.com Awards and the 2013 MAC Award for Show of the Year. Ann’s latest recordings have both met great critical acclaim—The Sarah Vaughan Project: Live at Dizzy’s in 2014 and The Hope of Christmas in 2015. She is featured on her sister Liz Callaway’s holiday EP Merry and Bright as well as Arbor’s Records CD Johnny Mandel: the Man and His Music. Her recent solo CD’s At Last, Blues in the Night, Slow and Signature have received rave reviews as well. She has recorded two popular holiday CD’s – Holiday Pops! With Peter Nero and the Philly Pops, and her solo CD, This Christmas. Ann’s other recordings include Easy Living, To Ella with Love, After Ours, Bring Back Romance, Ann Hampton Callaway, and the award-winning live recording Sibling Revelry. Callaway has also been a guest performer on more than forty CD’s including Kenny Barron’s latest CD The Traveler. Ann’s dream of working in film, TV and radio has been realized in several recent projects. She made her feature film debut opposite Angelina Jolie and Matt Damon in the Robert De Niro film The Good Shepherd, performing the standard “Come Rain or Come Shine.” She recorded “Isn’t It Romantic?” and “The Nearness of You” in Wayne Wong’s Last Holiday, starring Queen Latifah. Ann wrote songs for the upcoming movie musical State of Affairs, to be directed by Philip McKinley. And, as a part of her mission to keep the American Songbook thriving, she has produced and hosted two TV specials Called Singer’s Spotlight With Ann Hampton Callaway with guests Liza Minnelli and Christine Ebersole for WTTW National which dovetails into her highly anticipated radio series This is Cabaret which is gearing up for national distribution in mid-2016. Ann devotes much of her time to philanthropic causes, both as a singer performing in numerous benefits, and as a songwriter composing songs in times of need. In September 2005, Ann performed her original composition “Let the Saints Come Marching,” written to honor Hurricane Katrina victims, on a national TV broadcast on the Fox News Channel. Her song “Who Can See the Blue the Same Again?” was released earlier in 2005 as a single, paying tribute to the tsunami survivors and raising much needed money for The Tsunami Fund of The PRASAD Project. In the aftermath of September 11th, Ann composed the stirring anthem, “I Believe in America”, which she performed on Larry King Live and released as a CD single. Just days after the tragedy, Ann heard an 8,000 year old prayer from the Rig Veda and composed the world renowned “Let Us Be United”. Ann recorded the song with Kenny Werner, The Siddha Yoga International Choir and five-year-old Sonali Beaven, who sang in honor of her father who lost his life on Flight 93. It was released on CD and DVD and its proceeds continue to benefit Save the Children and The PRASAD Project. Ann’s father was Chicago’s legendary TV and radio journalist John Callaway. Her mother, Shirley Callaway, a superb singer, pianist and one of New York’s most in-demand vocal coaches, was recently featured at New York’s Town Hall, singing with Ann and her sister, Liz.